Evolution™ Controller is The next generation of intuitive controllers featuring a multilingual, two-line LCD text display with color-coded, backlit buttons. 5 Year Limited Warranty. 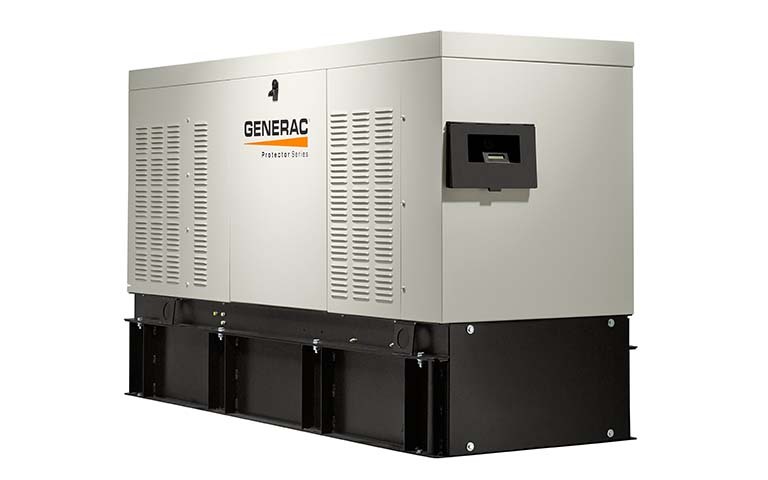 Generac is proud of their innovative product design, high quality and first-class reliability so they stand behind their products with a strong 5-year limited warranty. Code Ready. The Protector Series offers compatibility with a variety of environments, with external vent and fill, a UL/CUL 142-listed, double-walled base tank, a UL/CUL 2200-listed generator, and a wide range of code-driven accessories.